You can always tell which heels are your favorite because they look the most worn down. You want to wear them because you love them and you want to show them off, but you also don’t want to ruin them. Scuff marks will not be trending anytime soon, so what do you do? You continue reading! Here are some easy fixes to those inconvenient and pesky shoe problems. Between sidewalks, office hallways and bad traffic, it’s hard for your heels to keep up. You can pay someone to fix your heel at a shoe repair shop, or you can prolong the life of the heel. You can make them last longer by alternating between shoes throughout the week. Wearing the same shoes will definitely make them look rough real fast. If you are able to, you should buy another pair of your favorite pumps. You will be able to alternate between shoes, but you’ll also still be able to wear your favorite pair all week! If it’s too late to alternate between shoes because the damage is already done, ask a shoemaker to put rubber taps on your shoes. They normally cost a few bucks for each pair, and the taps will protect the toe and heel. When wearing light-colored shoes, it’s almost as if the world is out to tarnish them. 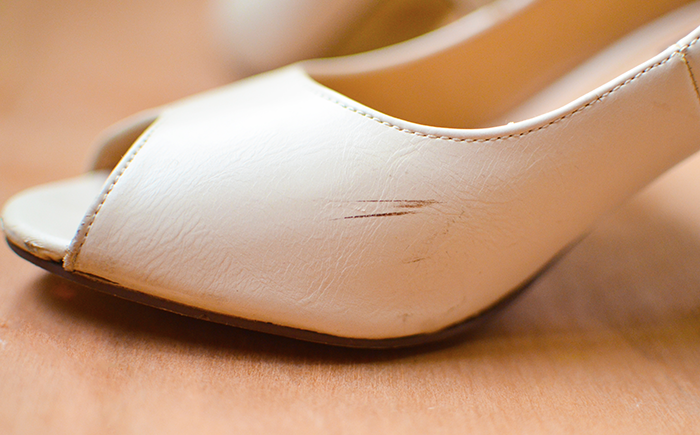 Scuff marks are not pretty, and they can ruin a perfectly good day. If the scuff isn’t too intense, try rubbing an eraser over it. It will help get rid of a not-so-serious mark. Make sure you only use an eraser on leather, and not patent leather though. Another option is to use shoe polish that matches the color of the leather. It will cover it up as if it never happened. You can also find leather lotion, which will gently clean the shoe’s surface. After a lot of use, the soles of a shoe will become slick. No need to slip though, because there’s an easy fix. Try rubbing the soles of your shoe against a rough surface, such as sandpaper. You could even use a stone sidewalk. Roughing up the sole like this will give it more traction. A bottle of Hairspray will also help with your slippery sole problem. Spray it on, and then let it dry. Simple as that! 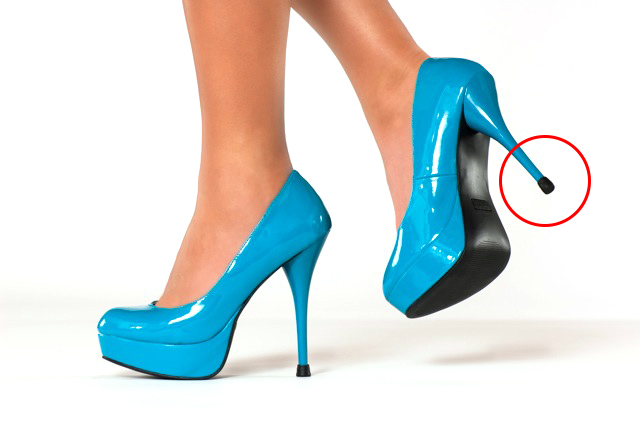 Whether your favorite pair of heels is $300 or $30, these easy fixes can come in handy. By extending the life of your shoes, you’ll be saving money in the long run. What are some ways you try to save your favorite pair of heels?